Nintendo Power Line and Other Promo Tactics - The Fish Tank (Ep. 40) | Nerd Much? The Nintendo Power Line is back baby! 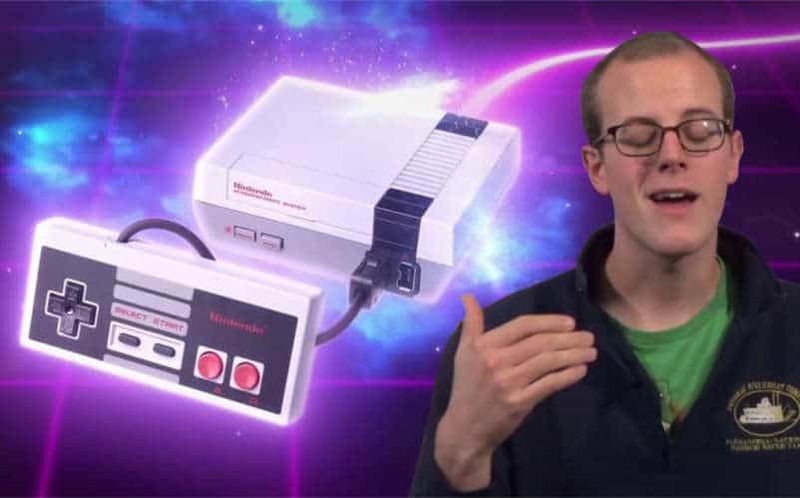 Children of the 80s can once again call Nintendo’s help line to get the best tips and tricks to get your through the tough spots in your favorite classic NES games. Why is this important? Because with the release of the Nintendo NES Classic Edition, Nintendo is doing what it can to bring back that feeling of the 80s. Promotional events like these have also worked for other games. With Crazy Machines 3, we were sent a German toy that reminds us of KNEX and LEGOS. With Silent Hills, we got P.T. and all the incredible stories that came from that realization. We love these unique ways to promote a game and we want more of them. Just please don’t shut down a game after such an amazing reveal. Our hearts still ache after the whole Kojima and Konami drama. So sit down, pour yourself an evening cup of coffee with your dessert, and enjoy our discussion about these promotional tactics. Then, join us next week as we call the classic Nintendo Power Line. Sure, most of us already know the tips and tricks they have for us. It’s the nostalgia of the call that makes it worth the effort.